People with dementia, including memory and cognitive loss, often experience confusion and anxiety. Memory books and other visual cueing systems such as memory wallets, planners, memo boards, and reminder cards, help reduce this frustration. 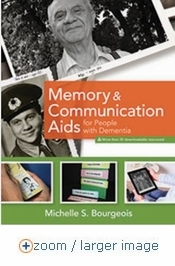 This guide book provides both the theory and instructions for creating low tech visual aids that help adults with memory and cognitive loss, engage and particiate. It describes how caregivers can create and use visual aids that prompt conversation, answer common questions, and provide reminders for daily living, all using pictures and words. These tools not only help enhance conversation with older adults, but they increase engagement and social interaction. They are also helpful to reducing problem behaviors and restoring the users� fading self identity. Includes more than 30 downloadable guides, forms and templates to use or customize. 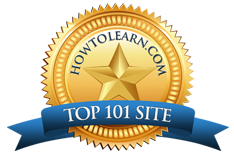 A great resource for elder care professionals and caregivers. By Michelle S. Bourgeois, Ph.D., CCC-SLP, Health Professions Press, paperback, approx. 140 pages, 2014.